If eyes are supposed to be the windows of soul, eyebrows are definitely supposed to be its frame. Without a doubt, eyebrows accentuate the beauty of a woman, and give her a bold and stunning look. They play a significant role in imparting a stunning look to the entire face. However, I understand that each one of us do not have those perfectly shaped thick and lush eyebrows. 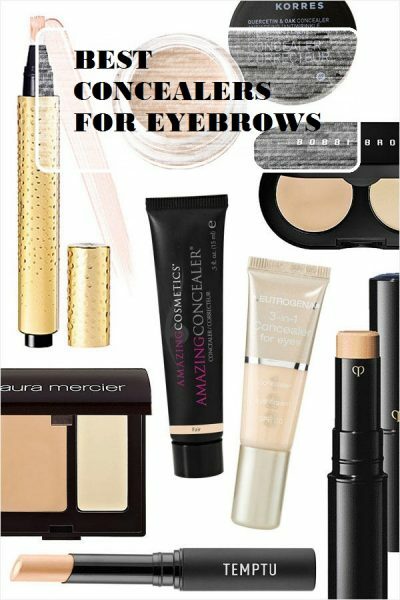 But thanks to some essential beauty products such as brow concealers that can help all beautiful women to look even more fantastic and flaunt perfectly done eyebrows. 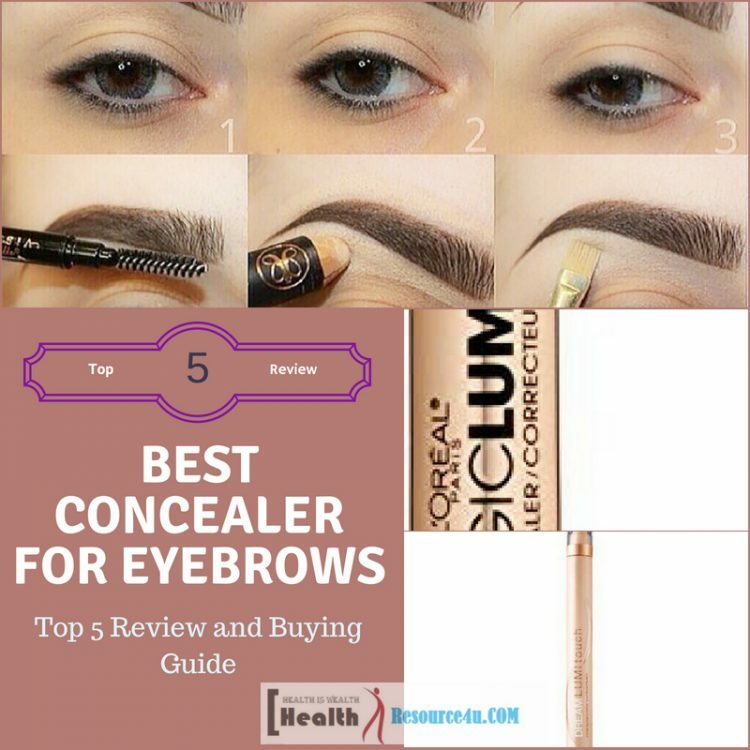 In the following post, you will not only discover some of the best eyebrow concealers but will also know the best way of applying these concealers in order to acquire drop dead looks with amazingly arched eyebrows. Once you have thoroughly cleaned your face and applied a good foundation, begin with lining your brows with a brow pencil. Use a shade that matches your skin tone as well as the tone of your hair. If you are unable to find the appropriate shade, go for a shade lighter. Start from the inner edge and then follow the brow shape. Next, fill your brow with a cream, brow pencil or powder in order to lend it the perfect structure. Make gentle and light strokes in the direction of your brow hair growth as this ensure a natural look. Finish off with a gentle brush over the brows using a spoolie stick or mascara wand and experience the perfect soft look. The base is now ready for the application of a concealer. You have the option of using a flat synthetic brush or an angled eyebrow brush to apply the concealer underneath your eyebrows. Start from the lower edge. Go carefully to achieve a perfect concealer highline line under the brows. An intelligent trick is to blend it by pulling the color into the eye area and further blending it with the eyeshadow so that it does not look too light and has a streamlined finish. 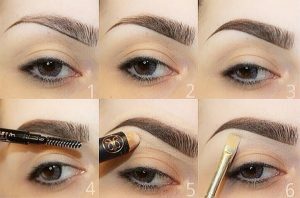 In the same way, apply the concealer on the top of your brows. It helps to stunningly carve out an outer arch. Now dust some finishing powder to fix the concealer in place. A final brushing over the eyebrows will further clinch the look. Now you have symmetrical, neat and fantabulous brows to flaunt. NYX Cosmetics Concealer Wand is a great non-comedogenic solution that can make your skin look healthier. Enriched with essential skin conditioning and hydrating agents, the product is ideal for offering a semi-matte look to your brows. It feels emollient and does not get flaky. It is highly pigmented and so a little product is enough for your eyebrows. Its consistency isn’t too runny or thick, just perfect for cleaning the sides of your brows. Also, once you set it right, it can almost last for the entire day. The price of the product is extremely affordable. It is also good for concealing blemishes and dark circles. Suits all skin types. L’Oreal Paris Magic Lumi Highlighter Concealer is a lightweight formula, ideal for giving that perfect glow to your skin. all you need to do is dab a small amount of the product on affected areas to impart a brightening effect. 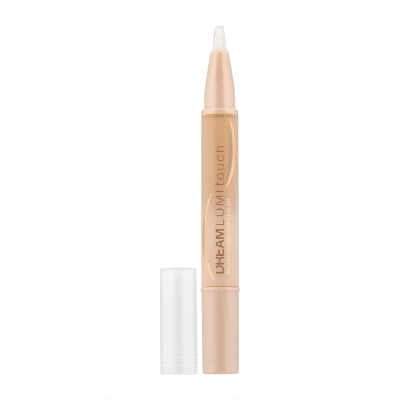 This feature makes the product best for being used as a concealer to highlight the eyebrows. However, the pigment is very less so the coverage offered is just sheer. It also imparts a shimmering effect. The consistency is thin and runny that makes the application and blending quite easy. Also, the product packaging is extremely attractive as it comes in a stunning metallic tube. It is not expensive. The only trouble of using this product is that it is not available in numerous shades. Even though you are looking for a concealer for eyebrows, it should be such that matches your overall skin tone so that the application doesn’t look odd. It should be avoided by people with a dry skin as the product does not offer adequate moisturization. 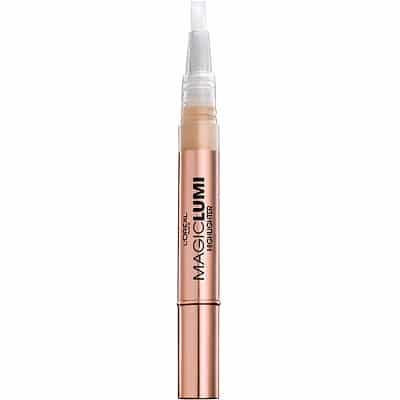 Maybelline New York Dream Lumi Touch Highlighting Concealer is a gel-infused formula that looks quite similar to the above-mentioned product. There packaging has only a little difference and can be often confused with each other. The product does not only work to conceal but also illuminate. It imparts a soothing glow and is non-comedogenic as well as dermatologist approved. It is suitable for all skin types. The concealer offers sufficient amount of hydration and moisturization and therefore can work well for people with dry skin. it spreads easily and blends seamlessly. However, there is one problem when the applicator brush becomes saturated with product, it gets really difficult to dispense the concealer and spread it evenly on all areas of your skin. This product is indubitably the best drugstore concealer for eyebrows. Rimmel Match Perfection 2 –in -1 Concealer and Highlighter is a great product that works wonders for your skin by concealing all flaws and highlighting it. The concealer has a silky creamy texture which is highly pigmented. The product offers easy application and blending ability, especially in the areas under the eyebrows. Once the product dries up, you will witness a stunning soft matte finish which may last for quite a long period of time. The packaging is also very attractive. The squeeze tube allows the user to use the product to the last bit. Also, you can decide as to how product to require to dispense. The built-in brush, however, is not much liked as that may make the product little unhygienic and also cause it to accumulate at the tip, leading to clogging of the tube. Anastacia Pro Pencil offers controlled and precise application. You experience an attractive cream to powder finish making you look picture perfect. The main aim of the concealer is to hide brow hairs as they grow. Apart from that, it works great for camouflaging minor blemishes, dark circles, and scars. The coverage is full and natural. it can also be used as a lip liner. The product comes in just three shade options and if you have particularly dark skin, you should avoid using the same. 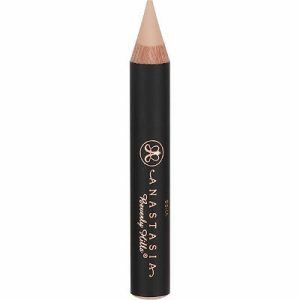 One problem with this concealer is that it requires frequent sharpening in order to have a precise and neat application. So you always need to keep a sharpener by your side. The best way to use this product is by warming it up, otherwise, it will become very hard and may cause pulling and tugging. All of us have been using concealers for covering our darks circles, blemishes, dark spots and other imperfections. So, using a concealer for defining your eyebrows may seem to be a nerve-wracking task in the first try. However, such concealers offer a handful of benefits. They can make our brows look much more effective and cleaner even if you missed out on plucking out the stray hair. They can also make your eyebrow area seem lifted and highlighted. For all these reasons, we want you to get hold of a good concealer for eyebrows and lead an in vogue life!